Pink Castle Blog: Classes and Events at Pink Castle Fabrics! Classes and Events at Pink Castle Fabrics! Spring is just around the corner, and there's lots to do at Pink Castle Fabrics now that we can finally leave our houses again! Are you looking for more blocks to make for improv quilts? Come learn four of Rossie's favorite improv blocks: the improv cross (pictured), the scrappy plus, the log cabin, and the open cabin. 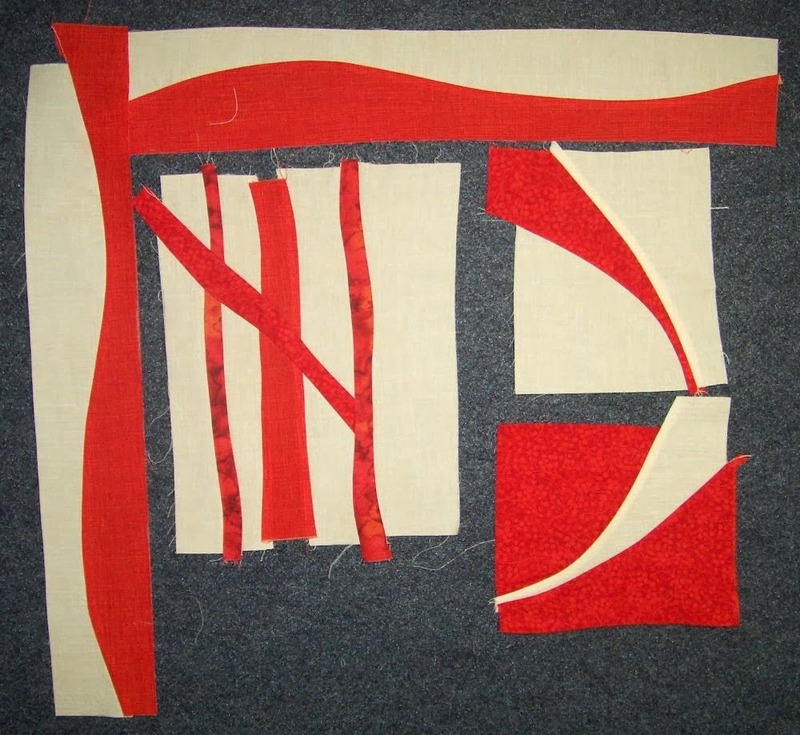 In this three-and-a-half hour workshop, Rossie will make each block with you and discuss problem-solving techniques for combining them and making a quilt top. You'll leave class with at least four blocks and a handout reviewing what you learned. Rossie Hutchinson is the founder of the influential Flickr group Fresh Modern Quilts. Her quilts have appeared in magazines, books, and quilt shows around the country. She also creates and sells custom plexiglass shapes for itajime shibori dyeing and other uses in her Etsy shop. Finishing Touches - Binding and More! You've mastered creating your quilt top but what next? This class will mostly cover double-fold binding techniques including how to have a perfect join at the end of the binding and how to create lovely mitered corners. 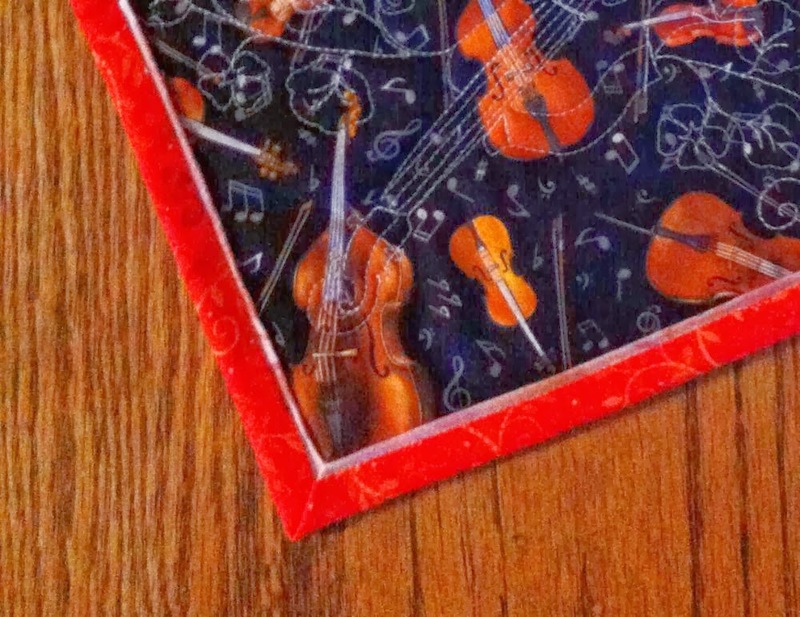 Cut your binding time easily by 1/5 by learning how to entirely machine sew your binding. Learn a machine binding technique with a flange that mimics piping. We will cover how to make bias binding as well as straight on-the-grain binding and why you would choose either. We will also discuss ideas for backing your quilt and how to make a pieced backing and how to create that perfect quilt label. Using a quilt sandwich (a pillow sized "fake" quilt), you will learn the basic techniques and then have a sample to look at once you get home. There should be plenty of class time for discussion and for you to get started on one of your own quilts as well. There is more information on what to bring on the class info page. Prerequisites: While a basic class, this class assumes that the student has made at least one quilt top of any size and understands the concepts of 1/4" seams. This is a course which meets three consecutive Tuesdays. Learn the basics of quilting while you make a beautiful lap size quilt with our instructor Renee Lange. 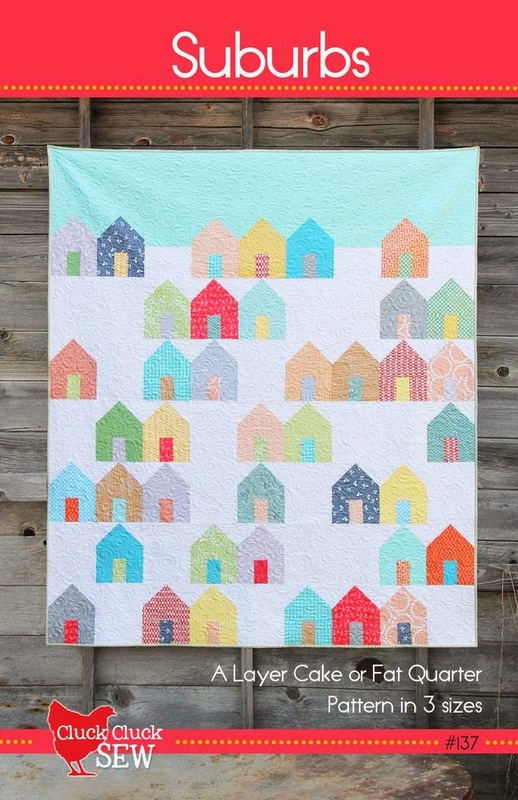 This class uses the popular "Suburbs" pattern from Cluck Cluck Sew to teach you about fabric selection, cutting, piecing, pressing and options for quilting. You will complete the quilt top in this class. You will need to bring your sewing machine, and a high quatlitu thread, as well as a pen and paper. Wait to buy other items until after the first meeting. Sewing smooth free-form curves is a technique with a difficult reputation but it’s time to let everyone in on the secret—it is super easy to do. You’ll be delighted to add this skill to your repertoire, but be warned…it’s very addicting and you won’t want to quit! You will learn multiple easy ways to handle curves without stressing out. There is no curve that cannot be conquered! This is a technique class so there is not a specific project to make. We will discuss several methods of working with free-form curves. Bring your basic sewing and cutting implement, along with fabric (see class page for requirements). Kathryn Schmidt has been quilting for over 35 years, and is the author of Rule Breaking Quilts. She blogs at Quirks, Ltd. There are more details on these and more (many more!) classes on the classes page. Pink Castle Fabrics has sewing machines available for rental if you need one. If you have any questions or need help booking your class, please email rossie@pinkcastlefabrics.com or stop into our shop at 3808 Plaza Drive.